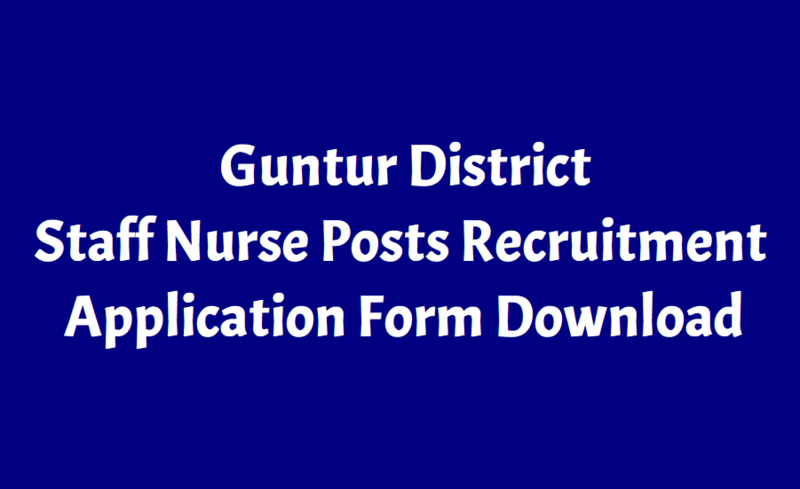 HM&FW #Guntur Staff Nurse Posts 2018, Guntur GGH Staff Nurses Recruitment: Govt General Hospital, Guntur District, AP Health Medical & Family Welfare Department has given the Staff Nurses recruitment 2018 notification and Applications are invited from the eligible candidates who are having DGNM / BSc. (N) / MSc. (N) qualification for filling up of 37 posts of Staff Nurses on contract basis initially for a period of 1 year, sanctioned under G.O. Rt. NO. 44, Health, Medical and Family Welfare (E1) Department, Dt:25.01.2016. 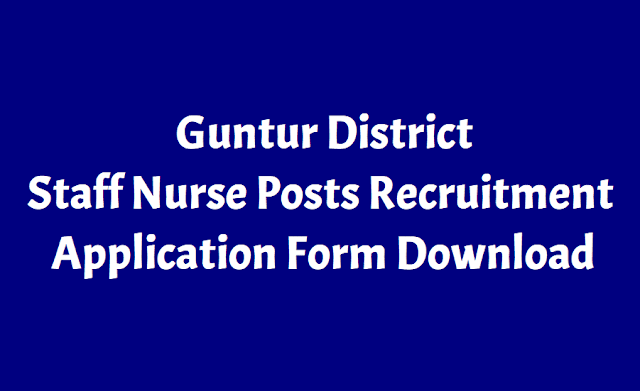 Application and other details are available in (http://guntur.ap.gov.in/login.apo#) and can be downloaded. The Last date for submission of application to the Superintendent, Govt. General Hospital, Guntur is on or before 15.12.2018 by 5:00 P.M.
a) Intermediate with Diploma in General Nursing & Midwifery (or) B.Sc Nursing Degree (or) M.Sc Nursing Degree. b) Permanently Registered in A.P Nursing and Midwives Council. For S.Cs, S.Ts & B.Cs 5 (Five) years and Disabled persons 10 (Ten) years. Fee: Each application must be accompanied by DD worth Rs.200.00 (Rs. Two hundred only) in favour of “To the Chairman, Hospital Development Society” concerned Government General Hospitals. Exemption for SC &ST candidates are exempted from payment of fee (Note- This amount is to be used for miscellaneous purpose). b) 10 marks for weight age from the date of passing academic examination @ 1 mark per year. There will be no interview, purely merit basis. Candidates may obtain prescribed application forms from the O/o the Dist. Medical & Health Officer, Guntur from 01.12.2018 free of cost.